Tagline- The Invading Armies Planned for Everything. 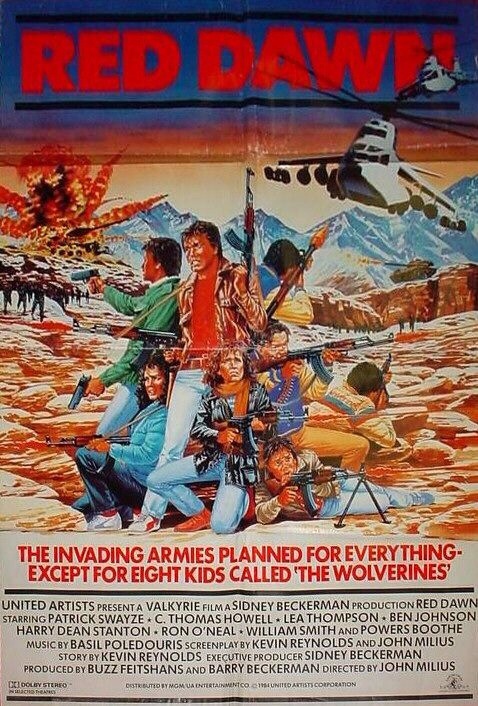 Except for Eight Kids Called the Wolverines. 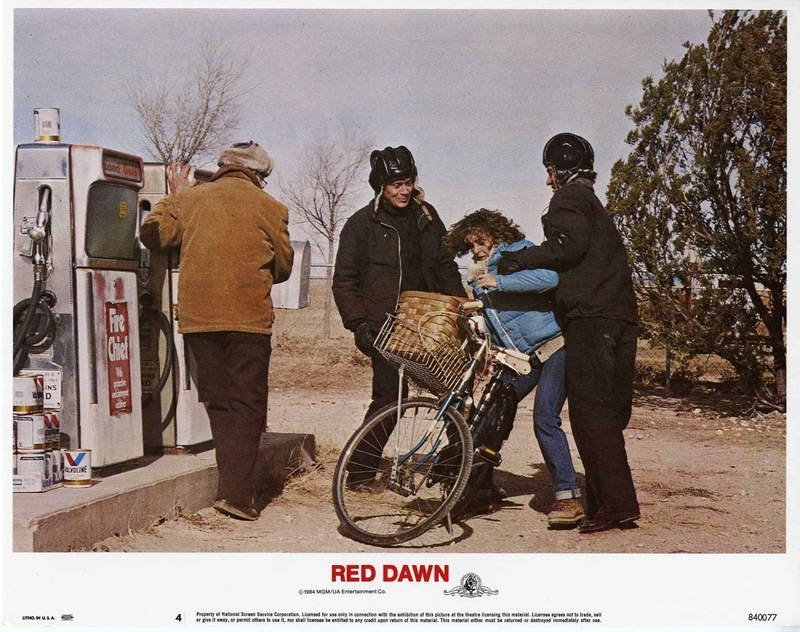 Released in 1984 Red Dawn is a film that still causes a lot of controversy from people it calling pro-war and pro-American and a lot of the negative reviews stem from that and I suppose people saying that wanna come off as more sophisticated and intelligent. Is it really shocking an American made film is pro-American? 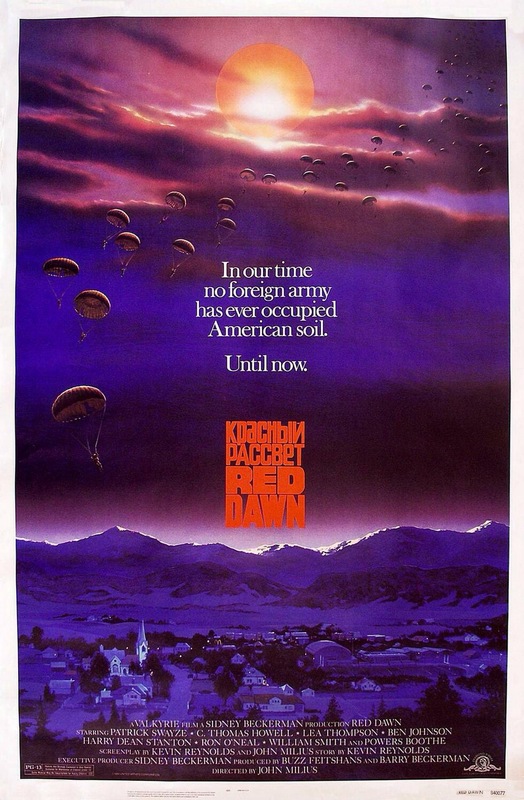 Other countries have made pro (insert name of country) movies and how is that any different than Red Dawn? This film was made during the Cold War and its not the safe Hollywood film and people are so afraid someone might be offended that films like this are rarely made or people need to bash it to try and try to come across as being smarter. Fact of life something will always offend people. Simply put to be loved you gotta do something, but to be hated you don’t have to do anything at all. 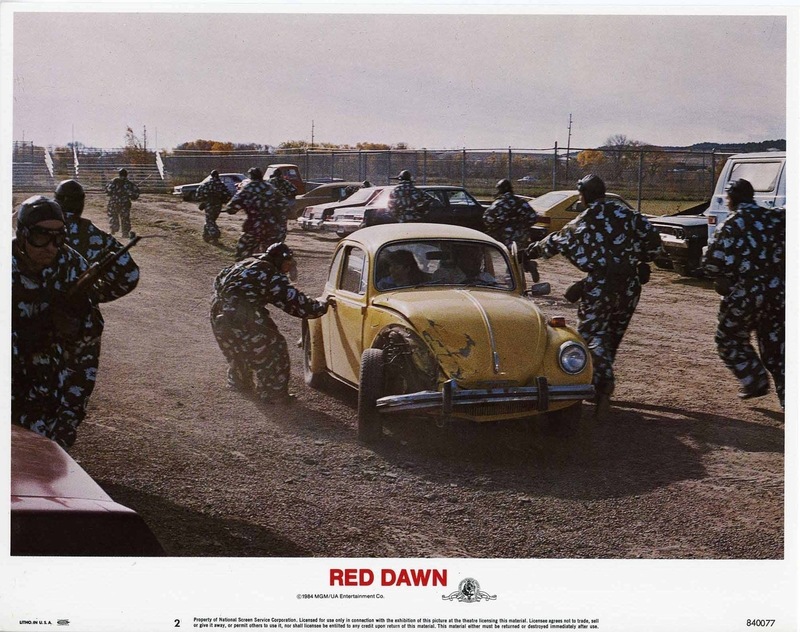 Is Red Dawn pro-war? I don’t think there is a right or wrong answer as it seems to play up to both. 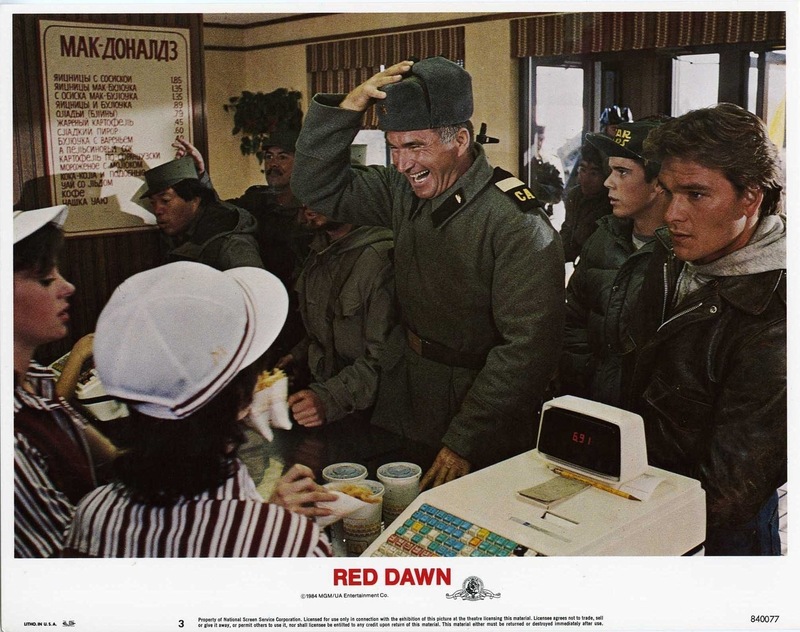 Regardless of any controversy the film should be judged on its own merits and personally I think Red Dawn is a terrific film. 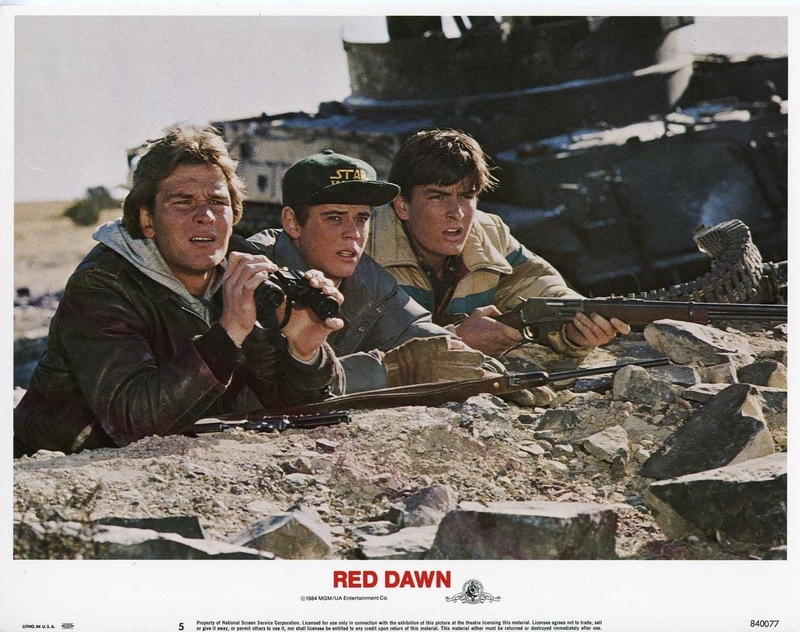 After 9/11 I think Red Dawn has a renewed meaning and social importance. The odds of an army invasion of the United States is doubtful. Of course Pearl Harbor had an invading military, but that was a different time, but I don’t foresee a military occupying the States, but 9/11 showed us we are indeed vulnerable to an attack and sure there is a difference between a terrorist group and military, but most people never thought an attack like 9/11 would happen on US soil. Some find it silly teenagers can hold their own against a military, but never underestimate sheer determination and a will to survive. History has seen powerful empires crumble or be defeated by weaker armies or rebel armies or in some cases civilians banding together. So I wouldn’t just write this off as impossible. The US comes under invasion from the Columbian’s and Russians a few teenagers manage to escape and hideout. But there comes a time when they have no choice, but to fight back and wage guerrilla war to save their town and country. The screenplay was written by Kevin Reynolds & John Milius and is generally well written and plotted the only knock the film gets, which I agree with to some degree is the characters lack depth. However I liked the characters, but I think I was more attached due to the cast and being a fan of several of the actors in particular Patrick Swayze. While characters aren’t as developed as they could have been we do see how the horrors of war take their toll on the characters where some breakdown while others become detached. Jed (Swayze) is the strong leader of the group, but as the film goes on even he begins to breakdown mentally and by the end of the picture he’s far removed from how he began. Robert (Howell) kills one of their own for betraying them and Robert was very detached with zero emotion after he did it. Terrible things happen in war and while I don’t condone killing innocent civilians this is what happens in war and we see characters do horrible things, but we also see they’re human and have feelings. Such as Colonel Ernesto Bella (O’Neal) who leads the slaughter of civilians, but by the end even he’s breaking down and begins to change evident by what he does in his last scene. Director John Milius crafts a well made film that’s quite suspenseful with terrific action scenes. The film is about survival and I love stories like this regardless if its a war film or a horror film such as Dawn of the Dead. Milius stages some great action scenes early, but than slows it down and builds the suspense and than when the action starts get its often quite thrilling. In my opinion this was his best film. 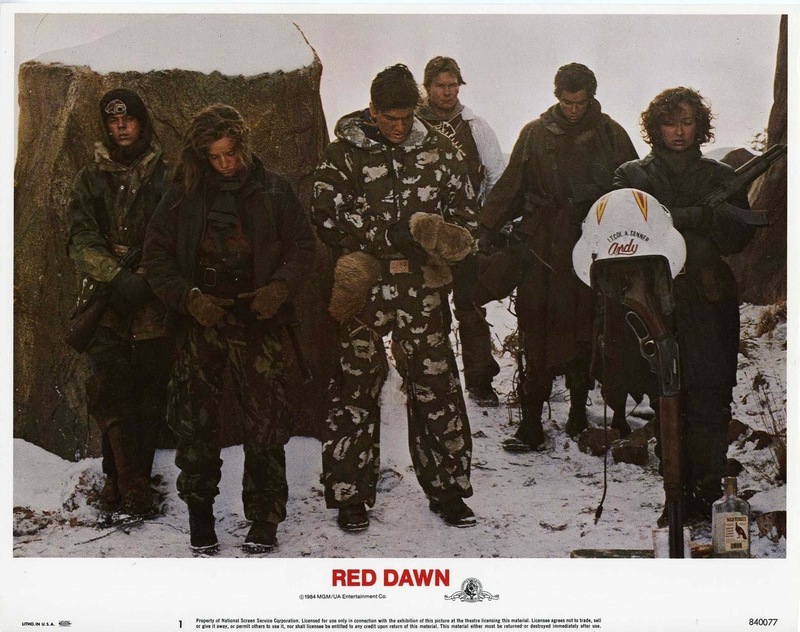 The cast for Red Dawn is hands down one of my very favorites. Patrick Swayze is one of my favorite actors of all time and despite his popularity I also felt he was often underrated. We also have C. Thomas Howell, Charlie Sheen, Lea Thompson, Darren Dalton and Jennifer Grey plus veteran actors such as Ben Johnson, Harry Dean Stanton, William Smith and Lane Smith plus Powers Boothe. The actors are all great in their roles and help add a little more than what was written for them at times. 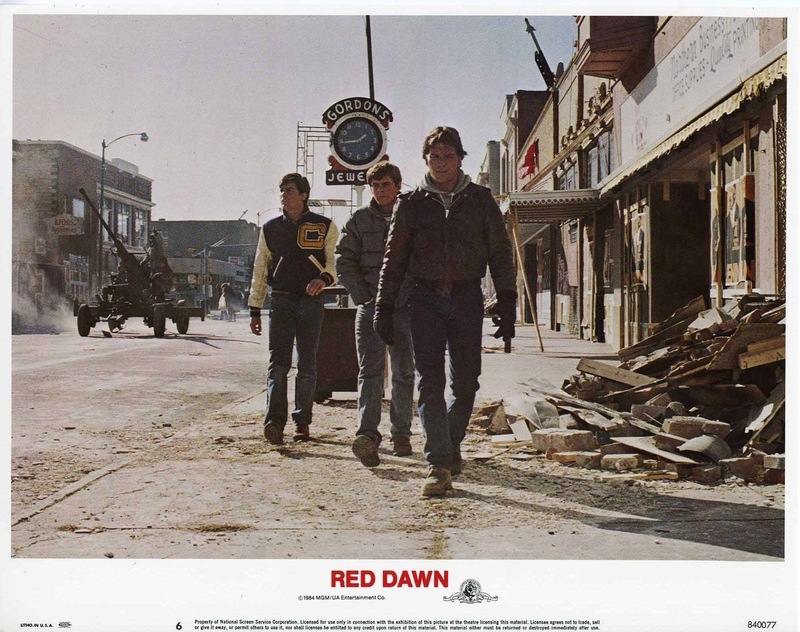 Red Dawn was the first film released with a PG-13 rating however the first film with that rating was the Flamingo Kid, but it sat around before getting released. 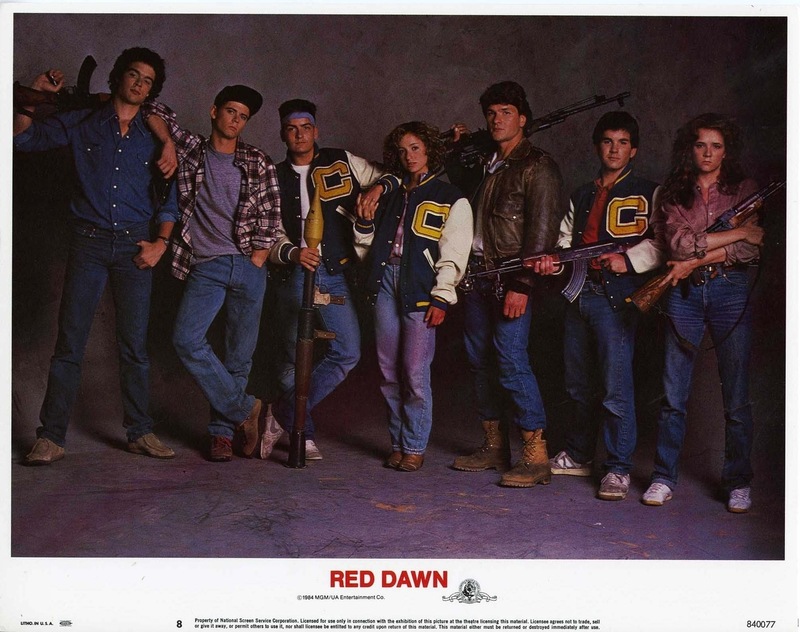 In reviews I sometimes mention how odd the MPAA is with their ratings and Red Dawn is action packed with a strong amount of violence and while its nothing overly graphic I’m still surprised in 1984 this was rated PG-13 and not an R. In the modern era PG-13 would be possible, but its a very hard PG-13. 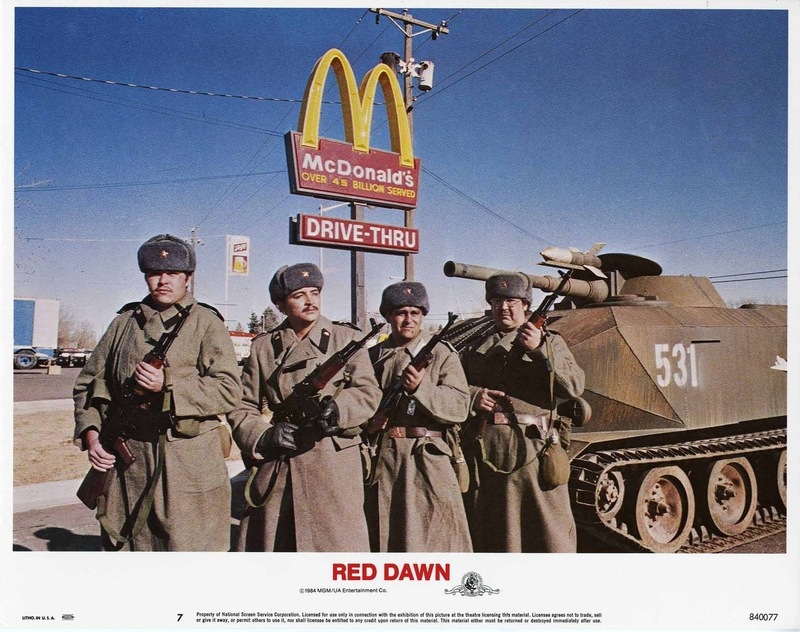 I’ve seen films released around the same time as Red Dawn that featured far less violence that got hit with an R-rating. Reports on set were Patrick Swayze and Jennifer Grey didn’t get along very well and 3-years after Red Dawn in 1987 the two would co-star in Dirty Dancing where again they didn’t get along.